CLEVELAND (AP) — Michael Fulmer won’t pitch in his first All-Star Game, not because he isn’t worthy. Under the bright lights and on a big stage Sunday night, Fulmer again showed why he’s Miami-bound. 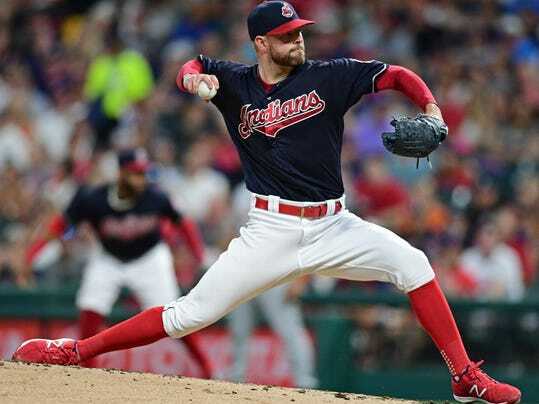 Fulmer outlasted All-Star teammate Corey Kluber, Alex Presley hit a tiebreaking, two-run double and the Detroit Tigers hung on late to salvage the series finale with a 5-3 win over the Cleveland Indians on Sunday night. Fulmer (9-6) dominated the defending AL champions until the seventh inning, when he gave up a two-run homer to Indians All-Star third baseman Jose Ramirez. Detroit’s shaky bullpen then barely held together over the last three innings. Shane Greene worked out of a bases-loaded threat in the seventh and Justin Wilson did the same in the eighth while getting five outs for his 10th save in 11 tries.